League of Legends fans are sure to love Razer’s new Goliathus mousepad which features multiple characters from the game battling in a high-quality graphic. Razer has released a set of League of Legends-branded peripherals during the past month including the Naga Hex mouse. 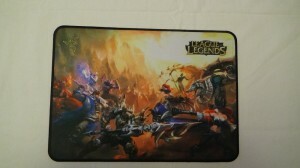 Due to the amazing League of Legends graphics on the mousepad and the fact that I am indeed a fan of the game itself, I automatically loved using the League of Legends Goliathus mousepad. The mousepad measures 10 by 14-inches which is generally the perfect size for gaming mousepads as it allows for full sweeping motions without the chance of the mouse leaving the mousepad. The Razer Goliathus mousepad is also fairly thin at just 0.12-inches thick and is also lightweight at 6.6 ounces. Due to its thin design, the mouseapad easily rolls up for transportation but durability is not sacrificed at all. 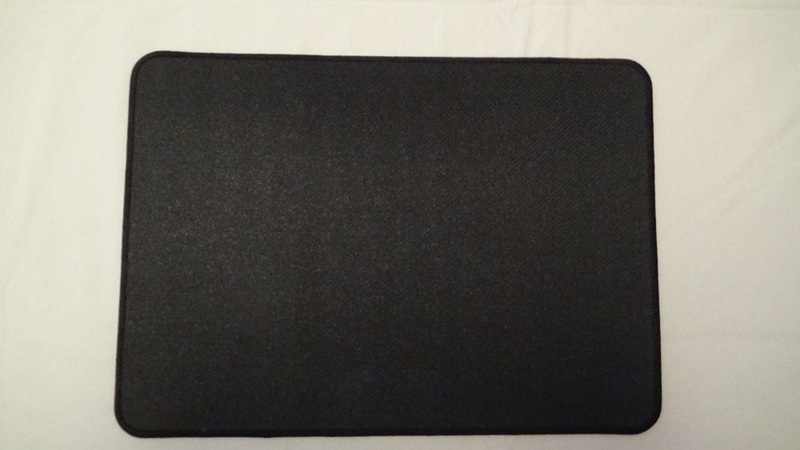 Instead, Razer actually beefed up the durability of the Goliathus mousepad with anti-fraying stitching. Since Razer is one of the biggest gaming peripheral makers, this mousepad is “optimized” for all sorts of games with its “Slick Cloth Weave For Unbridled Speed And Effortless Control” and “Pixel-Precise Targeting And Tracking.” While many peripheral manufacturers make big claims about their products, Razer’s Goliathus does live up to expectation and provides a great and smooth gaming experience whether you are playing League of Legends or Call of Duty. The other main benefit of gaming mousepads like the Goliathus is that they feature a rubber base meaning that no matter what surface you set the mousepad on, it will almost never move. Using a laser gaming mouse on the Razer Goliathus was absolutely stunning whether I was trying to attain precision or if I was making rapid sweeping motions. The mousepad never left the surface of the table and was extremely comfortable for long gaming sessions. Some people do like having a built-in wrist rest on their mousepads and the Goliathus does not have one, so if a wrist rest is really important to you then do not bother with the Goliathus. 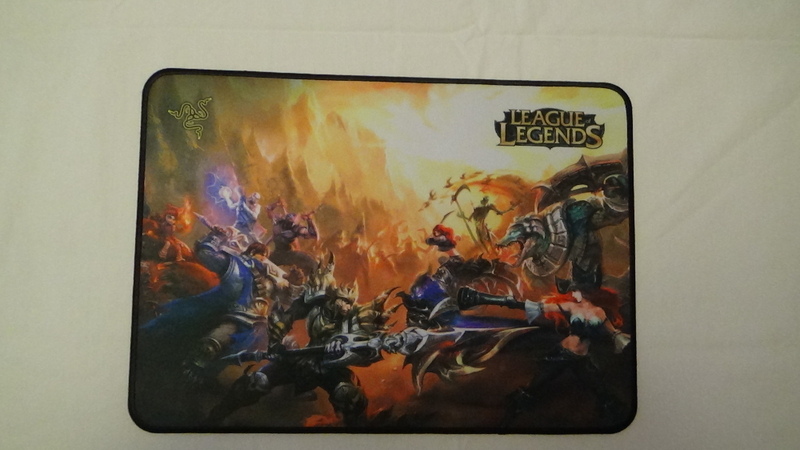 If you are League of Legends fan then you simply cannot go wrong with the Razer Goliathus League of Legends mousepad. Whether you are looking for a high-performance mousepad or simply something to show off your LoL obsession, this mousepad has you covered.